Start your firework business today! Have you ever thought about starting your own firework business? Every year, thousands of individuals step up to the challenge and firework stands pop-up on street corners, ready to make families happy during the holidays. The firework business is an easy one to jump into for those who are motivated and the payoff can be great. If you’re interested in learning more, we are here to help you every step of the way. Get started now! This is the most important place to start. No sense in jumping the gun before knowing for sure if you’re going to be able to sell the type of fireworks you want to sell and whether or not you can sell where you want to sell. The good news is that this information is readily available. Simply visit American Pyro Association‘s website to find laws specific to your state. Once you have understood your state’s laws, you will need to register for an Employer Identification Number (EIN). This will give you the ability to purchase via wholesale, a.k.a. the ability to buy in bulk and at a discount. This is how you make a profit. To get your EIN visit the IRS’s website. By this point, you know the state laws, you have the ability to buy wholesale, and you’re almost ready to fill a tent with fireworks. The last thing to do before actually purchasing your first shipment is researching the type of equipment you’ll need to run a pop-up shop. If this seems like too daunting of a task, don’t fret. Our friendly staff can help you through this process. 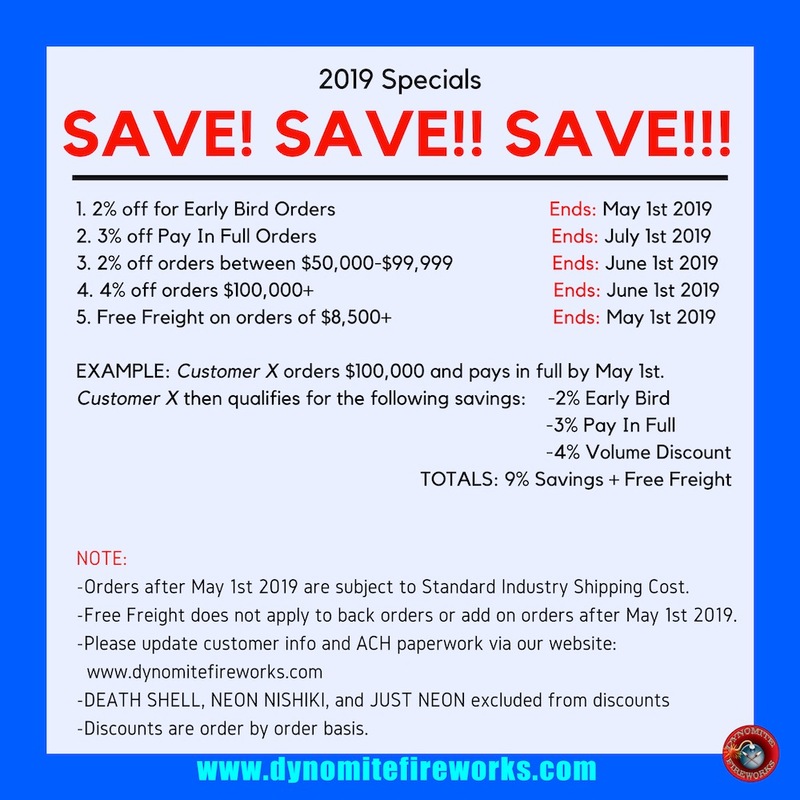 Contact Dynomite Fireworks with any questions you might have along the way. Step 4: Start a Wholesale Account! You’re now ready to place your order and start making money. Sign-up to start a wholesale account with us. Once you have finished our member registration process, you will be able to log in, view prices, and submit orders on the website.